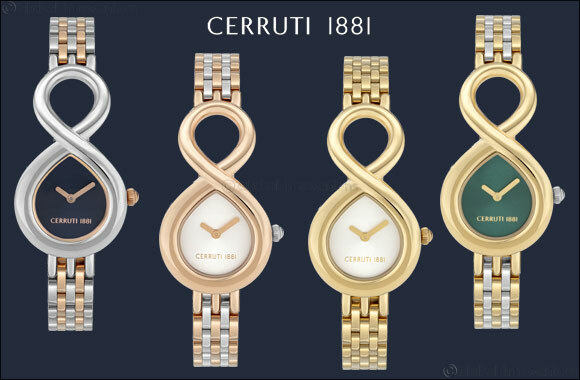 July 15, 2018: The Cerruti 1881 infinite love is a timeless gift for your special lady. It embodies the spirit of romance and cherishes the everlasting love you both share. This timepiece exists to say that you don't really need a special day or a reason to celebrate the person you love. The Italian brand house of Cerruti 1881 is known for the strong Parisian influence in all its design. It is only natural for the brand to fashion jewellery and timepieces that has romance at the heart of its creation. This timepiece is no exception; it is conceived to not just keep time but to become a timeless keepsake. A powerful statement of style, the timepiece has an infinity shape that holds a colourful dial on one end. The timepiece also highlights the number 1881, the founding year of the brand. The five link bracelet enhances the beauty of the statement timepiece, adding elegance to its colorful dial. The infinite love collection is available in four colour variations across all leading outlets across the Middle East.